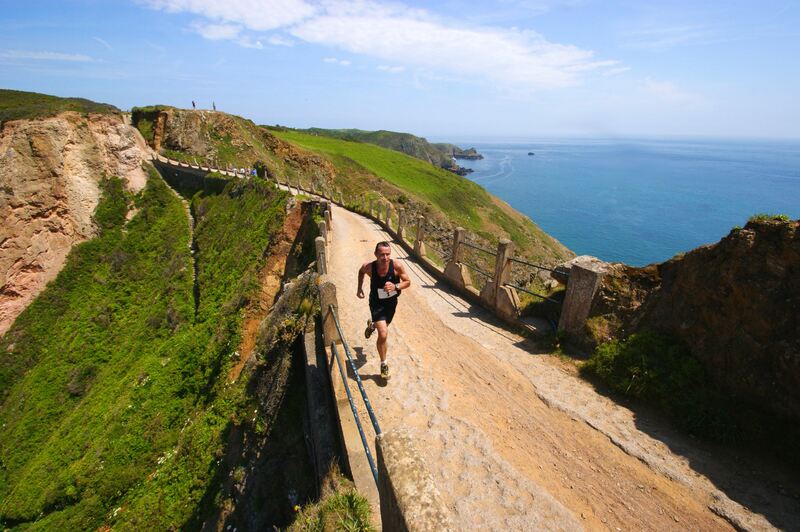 This is a truly unique run and offers the opportunity to spend a fantastic summer’s day or even weekend enjoying the island of Sark. This year’s race is being held on Saturday June 6th to start at 12:00pm. There is a boat departing Guernsey at 10.00 a.m. and Sark at 5 p.m. Registration and start will be at Stocks Hotel. The course is a trail run (Sark has no paved roads) and uses Sark’s lanes (sharing with horse and carriages and the odd tractor) as well as footpaths and cliff paths. All entries are on the day and are 10miles £10, 5k £5.00 A junior race will be organised if there is sufficient interest.